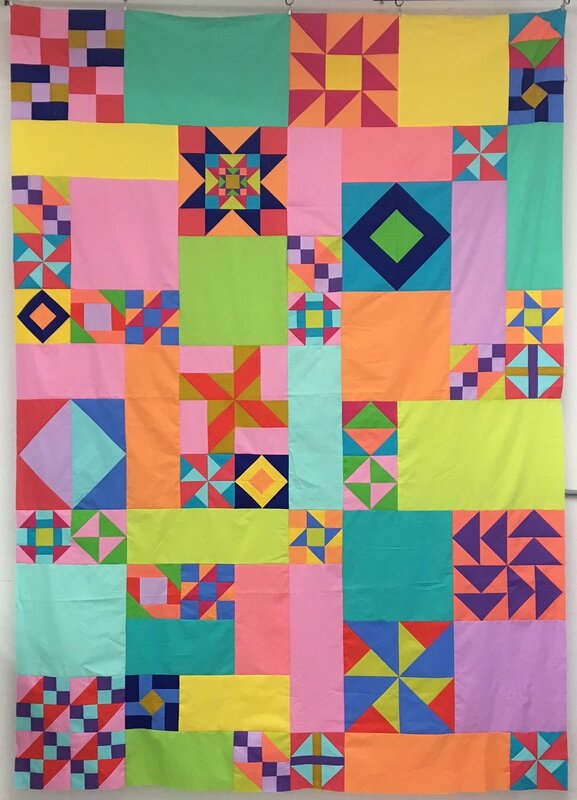 Sandy has made a great block of the month quilt using our favorite Free Spirit Solids and blocks created by some fabulous pattern designers provided by Moda Fabrics. This BOM is the perfect next step for beginners who want to tackle some block construction and take part in a monthly BOM program while also being a fun program for more advanced quilters who just want a fresh, fun quilt to jump into. The price for the program is $225 paid in full for 12 months of block instructions plus setting instructions and expert tips given by Sandy Stites each month. There is also a monthly payment plan option which will be a $40 deposit and $20 per month (for 11 months) through paypal only. You can subscribe the the monthly option though the button below.